Awarded the Nobel Peace Prize in 1991, Aung San Suu Kyi has drawn condemnation for her handling of the Rohingya crisis. Yet after she rose to power in Myanmar decades later, Aung San Suu Kyi has drawn international condemnation for her response to the military’s brutal use of force against the Muslim Rohingya minority. International education. Born in Rangoon (now Yangon) in 1945, Aung San Suu Kyi is the daughter of Myanmar’s liberation movement leader Aung San, who was assassinated on 19 July 1947. Aung San Suu Kyi had a talent for learning new languages. She speaks Burmese, English, French and Japanese. She completed high school in India following her mother’s appointment as ambassador to the country in 1960. Aung San Suu Kyi went on to study philosophy, politics and economics in the United Kingdom at the University of Oxford. Democracy in Myanmar. Upon her return to Myanmar in 1988, Aung San Suu Kyi was elected secretary-general of the National League for Democracy (NLD) party. House arrest . In 1990, the party won elections, but the military government annulled the results and arrested Aung San Suu Kyi. She spent much of her time between 1989 and 2010 in some form of detention, most of it under house arrest. In 1991, while under house arrest, she was awarded the Nobel Peace Prize. The 2011 film, The Lady, told of the love story between Aung San Suu Kyi and her British husband, Michael Aris, and the long separation they suffered because of her detention. State counsellor. In 2012, Aung San Suu Kyi registered to run for a seat in Myanmar’s parliament. In November 2015, the NLD won 80 percent of the available seats. But she was prevented by Myanmar’s constitution from taking up the post of president because she was married to a non-Myanmar citizen. Today, Aung San Suu Kyi’s official title is state counsellor, a post created in 2016 to give her control over the president’s office, the foreign ministry, the energy ministry, and the ministry of education. Despite Aung San Suu Kyi being the de facto head of state, the current commander-in-chief of the Myanmar Armed Forces, Min Aung Hlaing, still maintains a great degree of power in the country. Textbook ethnic cleansing. 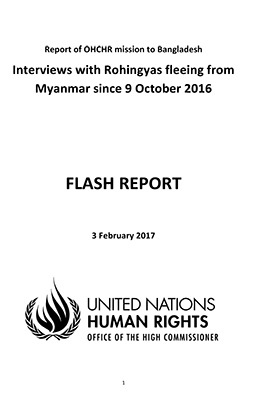 In August 2017, a fierce military crackdown sent more than 600,000 Rohingyafleeing Myanmar’s northern Rakhine state. The United Nations described it as “textbook ethnic cleansing”. 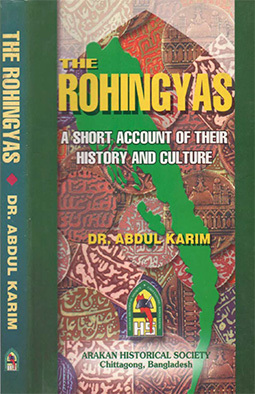 The mostly Muslim minority is not recognised as an ethnic group in Myanmar, despite having lived there for generations. 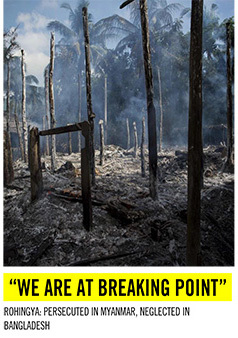 Rohingya have been denied citizenship, effectively making them stateless. Shielding the military.While Aung San Suu Kyi has limited control over the military, she has been criticised for failing to denounce the violence in Rakhine. Myanmar’s constitution gives 25 percent of parliamentary seats to unelected military officers, effectively giving them a veto over constitutional changes. Pope Francis visit.Pope Francis arrived in Myanmar on November 27 to meet with religious leaders, Myanmar’s army head General Min Aung Hlaing and with Aung San Suu Kyi. The pope has repeatedly spoken out from afar about the crisis, standing up for what he has called his Rohingya “brothers and sisters”. Presecution application. In March 2018, a group of Australian human rights lawyers filed a private presecution application against Kyi. “We have launched a private prosecution application in the Magistrate’s Court of Victoria accusing Aung San Suu Kyi of crimes against humanity, specifically the crime of deportation and forcible transfer of people,” human rights lawyer Alison Battisson told Al Jazeera. Struggle against oppression.Aung San Suu Kyi was awarded the Nobel Peace Prize in 1991, but it was not until 2012 that she was able to deliver her acceptance speech at Oslo’s City Hall. “In awarding the Nobel Peace Prize … to Aung San Suu Kyi,” the Norwegian Nobel Committee announced in 1991, it wished “to honour this woman for her unflagging efforts and to show its support for the many people throughout the world who are striving to attain democracy, human rights and ethnic conciliation by peaceful means”. Aung San Suu Kyi, the committee added, was “an important symbol in the struggle against oppression”. Petition to revoke Nobel.More than 400,000 people have signed an online petition in 2017 to strip her of the peace prize. “When a laureate cannot maintain peace, then for the sake of peace itself the prize needs to be returned or confiscated by the Nobel Peace Prize Committee,” the org petition reads. In November 2017, Oxford City Council voted to stripKyi of the “Freedom of Oxford” award she received in 1997.